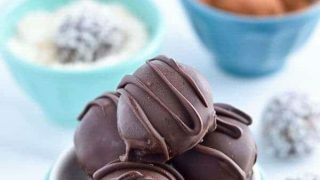 These Paleo Chocolate Truffles are a sweet, guilt-free treat that anyone would love. They’ve got a soft, creamy center and have a crisp chocolate coating. Yay for paleo desserts! You don’t really know what chocolate you want, you just need something. Then you open your refrigerator and there hiding in the back is a jar of hot fudge sauce. And you think, “brilliant, that’s just what I need.” Not hot, not melted and liquidy – you want it straight from the jar with a spoon. It’s thick, creamy, and just chocolatey enough without being too sweet. It’s perfect. 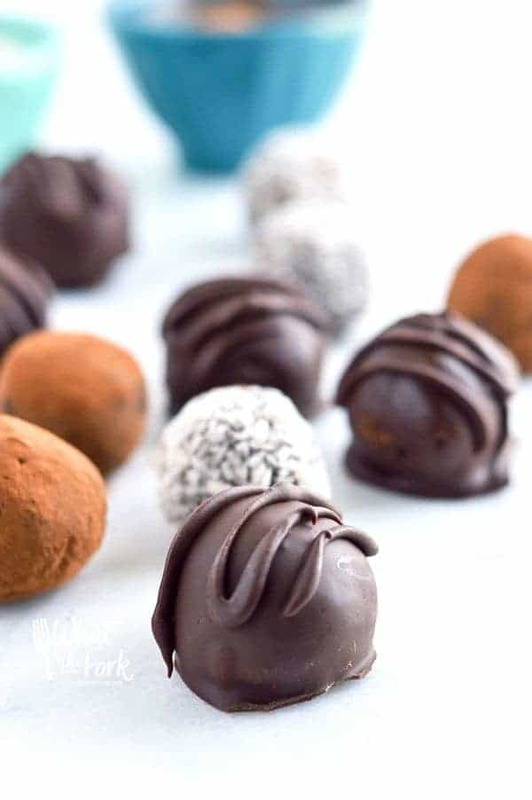 These truffles make me love paleo desserts! And that is how these truffles came to be. As I took that little bite I thought, this has the same consistency as chocolate truffles before they’re rolled into balls! So I scooped out some more (with a clean spoon of course ???? ), rolled them, and then coated them in coconut. I left one out at room temp and then I refrigerated the other. I wanted to see what would happen if I left one of these paleo chocolate truffles at room temperature. Would it hold it’s shape? Would it melt? Would this even work? As you’ve probably already guessed, it worked! It held it’s shape but it had the most delicious melt-in-your-mouth texture. I’ve made a few more batches since that original test and they’re just as good every single time. This time, I decided to coat some of the truffles in a chocolate coating to make them a little extra special. The crisp chocolate coating with the smooth, creamy interior is like a little bite of heaven. They’re seriously amazing. 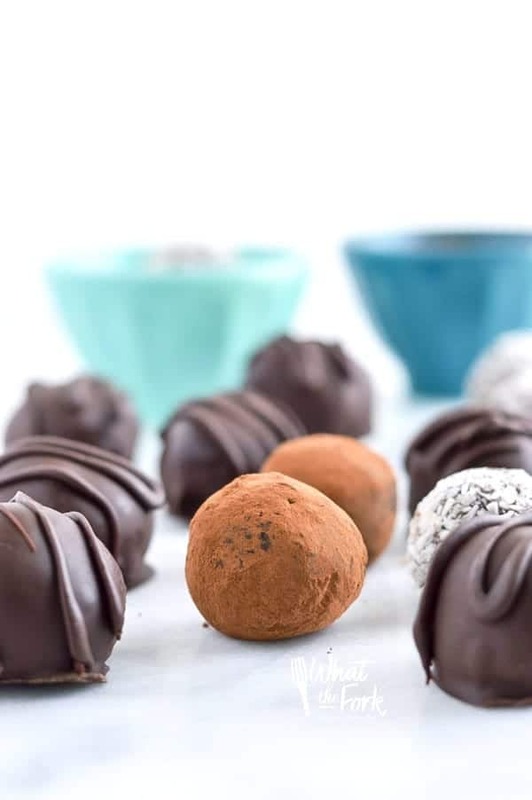 If you don’t want to go through the trouble of coating the truffles in chocolate, you can always go the traditional route and roll them in cocoa/cacao powder or unsweetened shredded coconut. 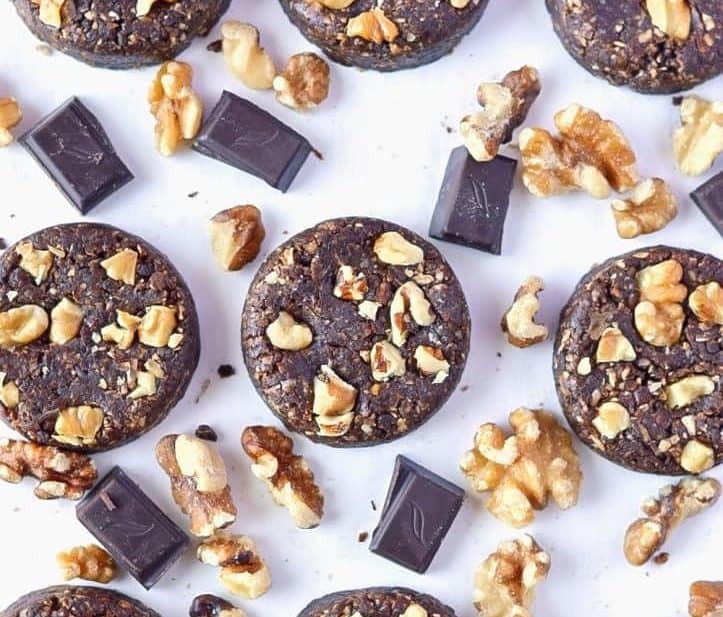 And while I’m thinking of it, if you’re looking for a little something different besides a chocolate truffle, try these delicious Paleo Chocolate Cupcakes from my friend Erin at Texanerin Baking. You won’t regret it! Today, I’m not only sharing these Paleo Chocolate Truffles with you, I’ve also got a giveaway! I’ve teamed up with some of my blogging friends to celebrate Veggie Balance’s 3rd blog anniversary. To celebrate, we’re all sharing some yum-tastic recipes and are hosting a giveaway where one winner will receive a fun handmade crate containing 2 handmade cutting boards from Looking Glass Lodge, a signed copy of Gluten-Free Party Food, a copy of The Gluten-Free Bread Machine Cookbook, coupons (from Muir Glenn, Bobs Red Mill, Sunbutter, Earth Balance, Enjoy Life Foods, Wholesome, San-J, Daiya, Jovial Pasta), and a $50 Visa Gift Card. Be sure to enter via the Rafflecopter form below. Good Luck! 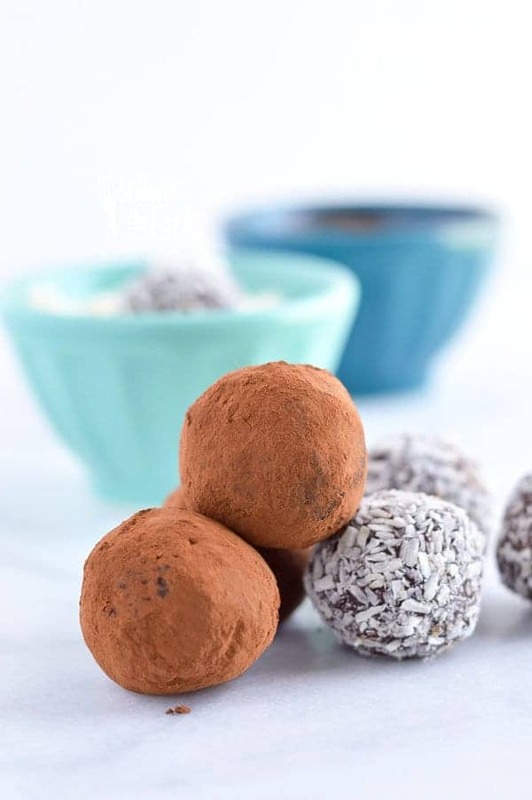 These Paleo Chocolate Truffles are a sweet, guilt-free treat that anyone would love. They've got a soft, creamy center and have a crisp chocolate coating. Add the 1 1/2 cups chocolate chips and 2 tsp coconut oil to a microwave safe bowl. Melt at 50% power for 1 minute. Stir well then continue to heat at 50% power for 20 second intervals until the chocolate is melted and smooth. Wow! 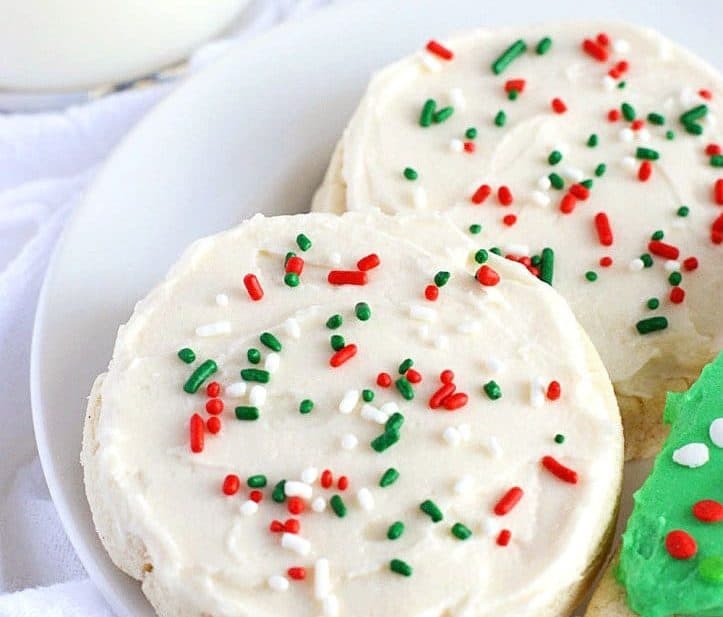 These do look like a bite of heaven, and what a great giveaway! I’m totally with you on the whole “I need chocolate” thing! I’d love to have this for my afternoon snack! These truffles are perfect little bites! I’ve been there staring in the pantry for something sweet and chocolatey. 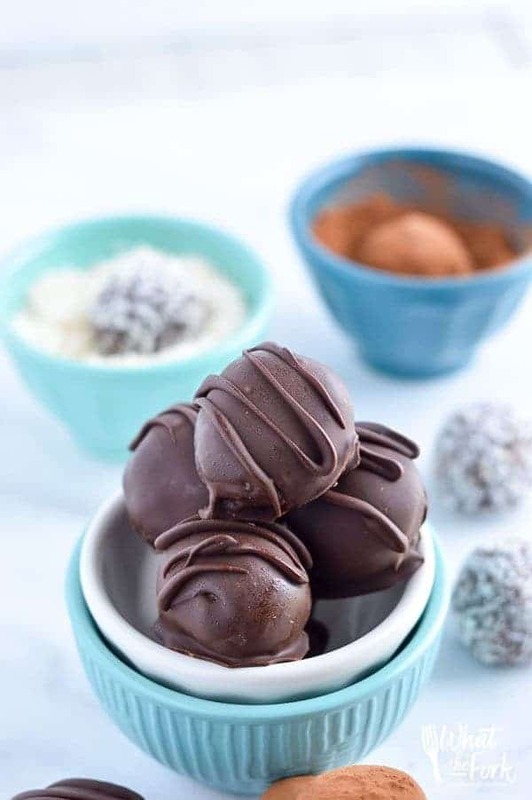 These chocolate truffles would be fantastic! You’re killing me with these! OMG, these look like the best things ever! I am so trying these asap! You had me at chocolate! Thanks for the great giveaway too! Wow, those look so good, I want to eat a dozen of them right now! I’m a chocoholic! 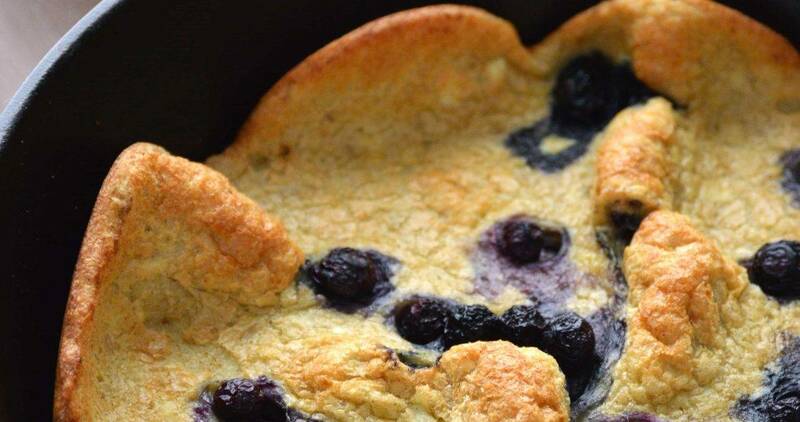 These look great, though all your recipes always do! You just described my life most nights here. 😉 And these truffles… SO GOOD! Yum! I definitely don’t need a “how to” on eating these truffles 🙂 Will be making this version soon! I love how perfect these look! And they sound so creamy! I love truffles! They make a perfect party dish or a gift! I love truffles rolled in cocoa powder. These would be a great treat for Valentine’s Day! Yummy! These look amazing. Will definitely have to try. Thank you for sharing at Merry Monday! Lookin’ tasty! Thanks for sharing these with us at Funtastic Friday!